Timeless beauty, yet very tough. If there’s one description for Duluth backpacks, it’s this. They are made from the finest leather and canvas that withstand the test of time. They scream classic, but they have a modern twist that everyone will surely love. Duluth backpacks are the brainchild of a creative company called Duluth Pack. According to their official website, they’ve been in the business for more than 130 years. They’re based in Duluth, MN; hence, the name. We’ve seen different backpacks, but a Duluth bag stands out design- and quality-wise. Below is a picture of the back portion of their Scoutmaster Deluxe Backpack . You can tell that even in an HD image, the stitching and the materials are top-notch. Duluth Pack has been manufacturing one-of-a-kind bags of different kinds. [See all DULUTH packs HERE! ] As much as we want to feature all of them, we’d like to focus on backpacks. Here are the different backpack styles you can expect from Duluth. Chic, yet tough – it looks like this is what this Duluth backpack wants to say. Staying true to the Duluth signature of durable canvas construction, this bag features secured leather straps, leather bottom, leather shoulder straps, and leather bottom. 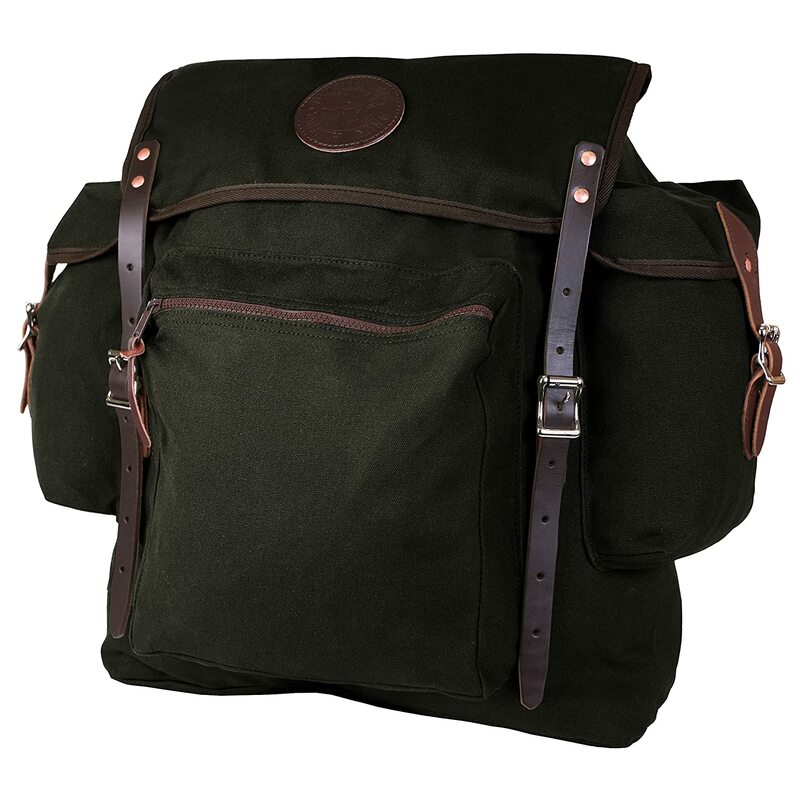 This backpack comes in 16 colors such as burgundy and olive drab. This backpack features a large compartment to make sure that your laptop stays protected against external forces. One reviewer mentioned that it’s “too bulky,” but if you have a big laptop, this would suit you well. There is a front compartment made of leather, which is supposed to improve durability. This is no doubt a great feature especially since this part of the bag is prone to scratching and other types of stress. 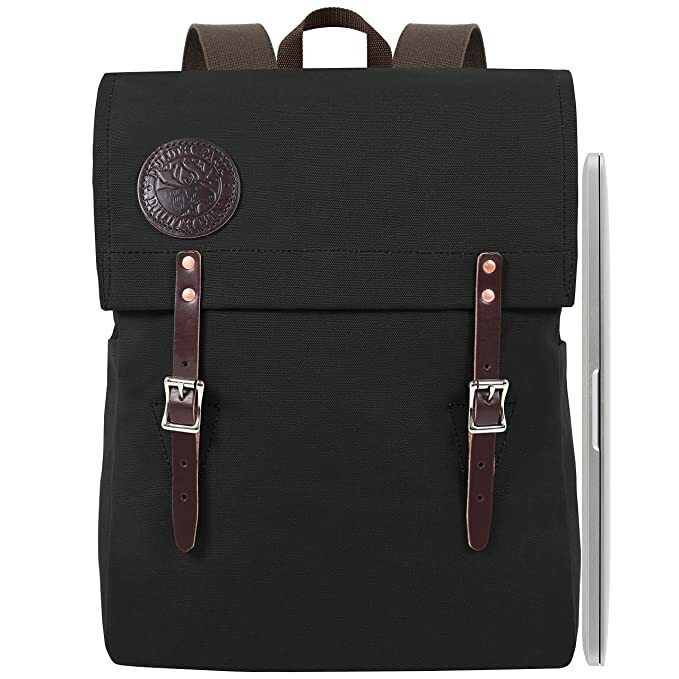 This is another laptop backpack from Duluth, which is obviously less bulky than the Deluxe Laptop Daypack. It comes in a rectangular design with top-notch canvas construction, leather straps, and high-quality buckles. Colors available include tangerine, khaki, spruce, and 12 more. This is a scaled-down version of Duluth’s Rambler Pack. If you may have noticed, it looks like a European rucksack. It has spacious compartments, side pockets for your binoculars and water bottles, and rugged leather straps. Of all the backpacks on the list, this bag has probably the most interesting design — imagine a koala or any marsupial resting on your back. But just like everyone of these Duluth backpacks, this Classic Rucksack Backpack is well-constructed. Use it on a casual day at the park, a trip to the museum, or a picnic by the lake. This backpack features a box-style design with two side pockets and a zippered front compartment. It’s constructed of high-quality 15-ounce canvas with cotton web shoulder straps and leather reinforcement for all rivets. Backpack Styles is a participant in the Amazon Services LLC Associates Program, an affiliate advertising program designed to provide a means for sites to earn advertising fees by advertising and linking to Amazon.com. Also, certain content that appears on this site comes from Amazon Services LLC. This content is provided “as is” and is subject to change or removal at any time.